3/4/15: CT bill would provide access to unapproved drugs. 2/24/15: Committee hears backers of bill to allow terminally ill to try experimental drugs. 2/23/15: Should CT give terminally ill patients the ‘right to try’ unapproved treatments? 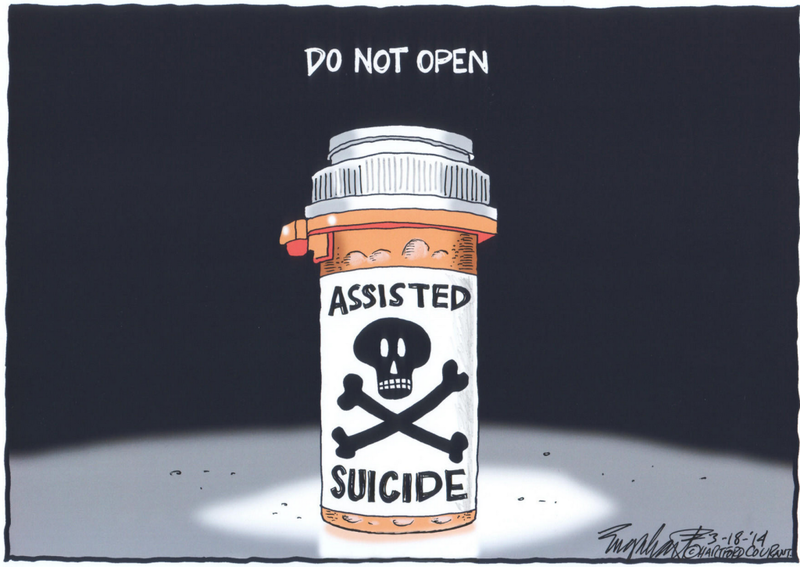 The Hartford Courant’s influential cartoonist opined against assisted suicide legislation in 2014. 3/8/15: Courant Letter against assisted suicide. 2/28/15: Connecticut resident Maggie Karner opposes assisted suicide in powerful Hartford Courant oped. Peter Wolfgang published in the Hartford Courant regarding analogy to ISIS.